A BLD exclusive design! 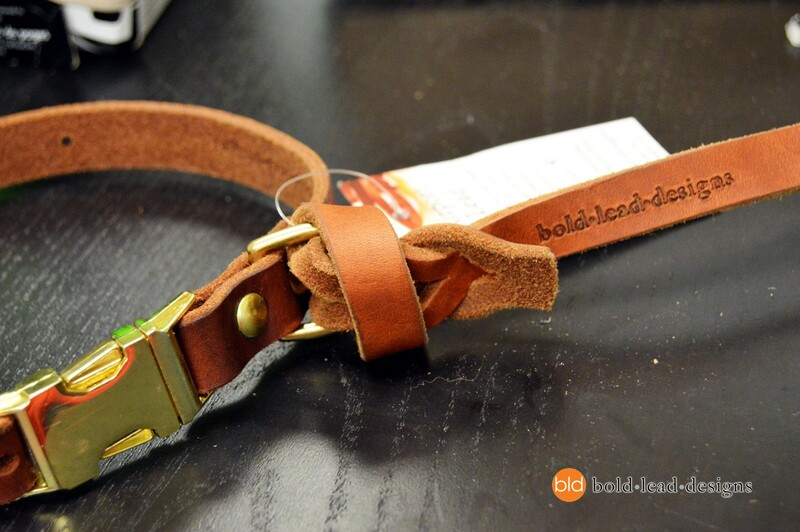 This unique leather leash is crafted with no hardware or metal. This simple, premium leather slip lead is perfect for frequent flyers. Made with no metal, this leash makes it easy to walk right through TSA security metal detectors with your companion. All-in-one leash and collar design will simplify your life. It’s super simple and versatile. This leash can also be looped around any collar or harness as an alternative to using a leash snap, or worn as a simple harness by looping the lead under the dog’s chest and back through the collar if more control is needed. See photos for ideas. Ideal for frequent travelers with service/assistance dogs, working dogs who travel to locations, or pets permitted to fly aboard airplanes. Perfect for frequent state house and court house visitors and frequent MRI scan patients, too. Eliminates the need to “undress” your dog as you walk through security making it more convenient for quick security screening. Artisan handcrafted in our own workshop with a lifetime warranty. Small and medium 6′ lengths are IN STOCK. Allow 3-5 business days for other sizes to be made to order. Simple, functional dog gear is often the most difficult to find. Here’s a new take on a British slip/ kennel lead; an easy to use leash with slip collar. No fuss. No hardware. All in one leash and collar combination. Made to order. Made of our soft and extremely durable leather, this traditional leash will out-perform any regular leash. We are so confidant that this is the last leash you will ever need, we offer a LIFETIME WARRANTY. This is the best quality leash you will find anywhere. There is no stitching to come undone or rivets to wear out. We use only the best and most durable leather that is always soft to the touch and only improves with age. All edges are beveled for a smooth feel. Our Golden TAN BRIDLE Leather is 100% American vegetable tanned leather, made with NO dyes or toxic metallic chemicals. Reminiscent of fine English horse tack, this leather is superior in quality to any other leash you’ve seen. Every leash is HAND-OILED to bring out the softness, so your leash arrives supple and feels great in your hands immediately and only improves with age. The color will darken with use and age. Our lovely BLACK LATIGO is solid black, and superior to ordinary leashes in texture and quality, cut from select from USA hides. It is incredibly durable, yet is very flexible. Feels great in your hands and will simply get better with age. Small (3/8” / 7mm. width)—Best for smaller and medium sized dogs. 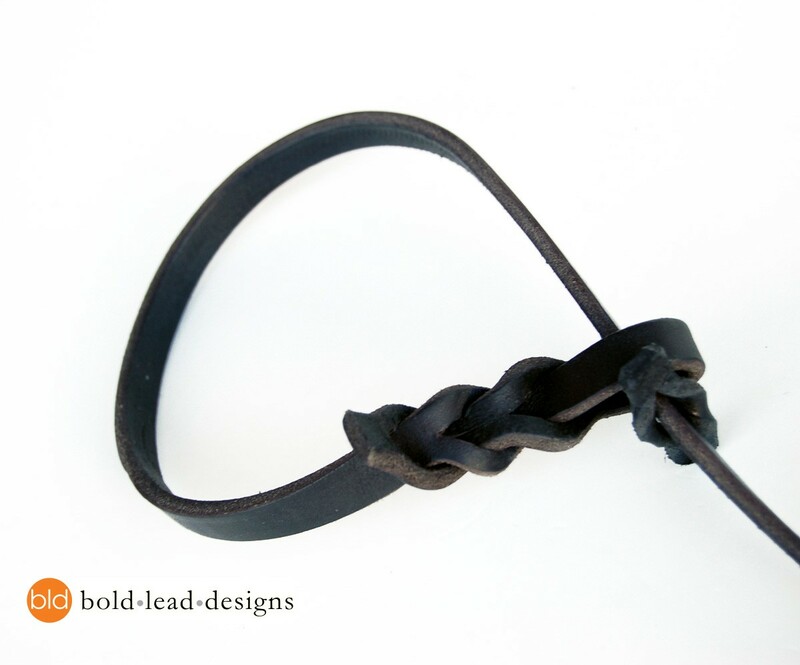 Lighter weight leather is braided at both ends; this narrow width is very secure. Choose overall length of leash, 4 or 6 feet (remember your dog’s neck will use of some of the length, so the functional leash will be shorter). This is the best lead for for the airport. TSA makes you take every metal off of your dog when going through the metal detector..This leash made it so much easier to travel with my dog alone. I had no issues going through TSA and my dog found the harness to be very comfortable. Than you for just a great harness for dog travelers. I used this awesome lead on my GSD, Emma’s maiden flight. It was wonderful! 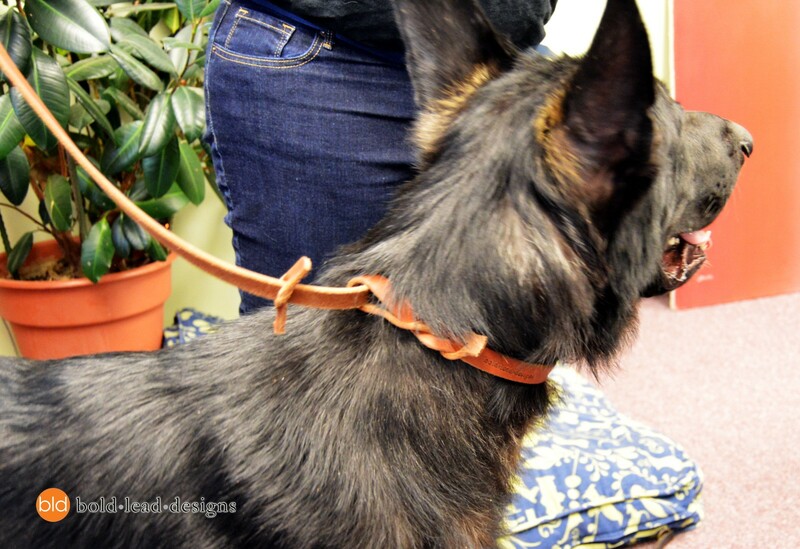 I put her Bold Lead Designs Mobility Assistance Harness, Collar and Lead on the scanner belt. I walked through with Emma right after me. It was so simple and easy for us to go through security! Once through I put Emma’s Service Dog gear back on and we were good to go. Emma proved herself to be a pro also on the flights. Thank you for the great design of the Airport Lead! Service dog Molly loves this leash. She got the black 5 footer, which is perfect for keeping her close in an airport. 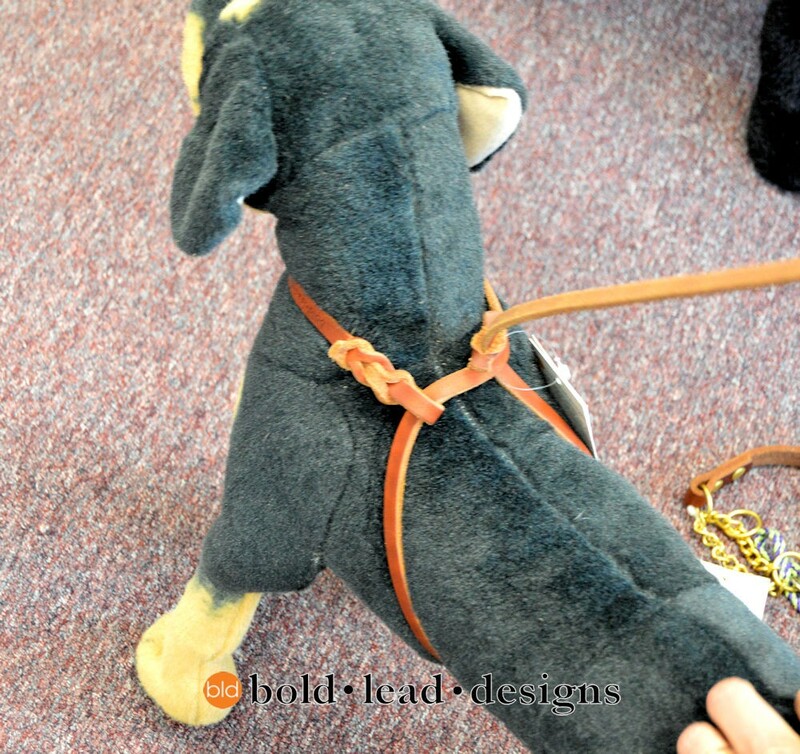 The leash comes with a helpful little piece of leather that ensures that the neck hole doesn’t get too big. When molly gets through security with no problems, she’s a happy dog! BLD had done it again. Another winner with A+ for ease of use and quality. It make traveling much easier and quicker. It takes long enough for TSA to do my pat down, at least now my working dog just breezes through. Very very happy with this product and I recommend it to all my friends who travel with guides and service dogs. BLD had done it again! This leash had really made life easy for a lot of us who travel with our dogs. I no longer have to wait for my dog to get wander by TSA (she never cared but I always did). I am very happy to have this leash in my toolbox of equipment and have used it many many times. A+ for ease of use and quality. This is a godsend at the airport! Training collar and leash go in the scanner basket. My service dog Trent II walks through with me and the agents no longer have to wand him! It paid for itself the first time I used it! I needed something like this to walk through security and this is the only place I found it. The sizing is great – make sure you take into account how they measure (the bigger the neck, the shorter the leash due to the slip). I love this leash – the only downside is that my dog wants to chew on it because it smells of natural leather (because it is). My dog, Annie, loves this lead…no metal! In the past I had to change collar and lead at security, before and after. Now, I have this lead and my TSA pre-approval number…presto! My husband and I bought two of these for our two dogs (55 lb boxer mixes), simply because we really liked the no fuss design and they looked like they’d hold up well. The leashes are beautiful, and the leather is really nice quality- you can tell they’ll break in really well. They’ve proved incredibly sturdy, and held up well to the “OMG that’s a squirrel, I must get the squirrel,” test, and our dogs seem to find them really comfortable. I would definitely recommend them for anyone, regardless of the need to go through metal detectors. The customer service was phenomenal as well! 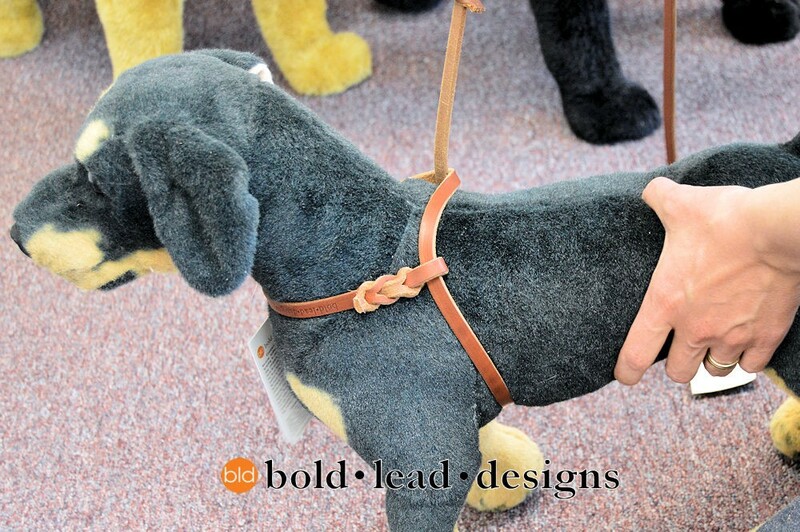 Custom Designed Leather Dog Leash – the leash of your dreams!